How to Catch a Book Thief – The Bookshelf of Emily J.
It’s time to come clean. I live in Utah. I don’t know why, but when I started this blog I felt compelled to keep that from you. Call it a desire to be anonymous or a desire to avoid scrutiny. I guess my motives don’t really matter, but my motive for telling you today does. I tell you because I recently finished a book that features a rare book dealer from Salt Lake City, and I wanted to be able to say, I “know” that guy. I have seen his store. 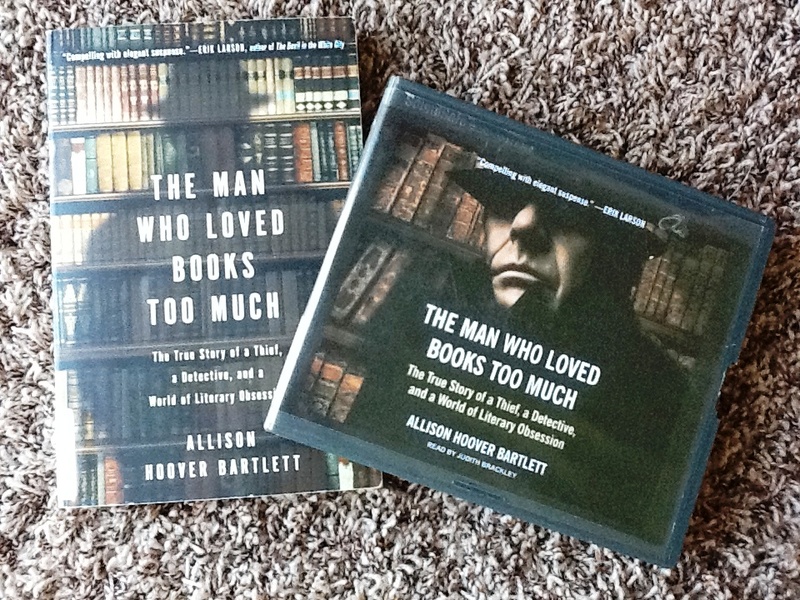 The book is The Man who Loved Books Too Much by Allison Bartlett Hoover. It is a nonfiction account of the author’s attempts to make sense of John Gilkey’s book thefts. She narrates the book chronologically, even recounting specific conversations and interviews with her subjects. Her main subject is Gilkey, who served some time in prison and is guilty of stealing thousands of rare books. He operated mostly in the Bay area of California (where I was born), and hearing accounts of his brushes with the San Jose police department reminded me of the times I visited there as a child, for my dad is retired from that very department. The building is familiar to me, and it pleased me to know that a San Jose police detective was instrumental in catching this book thief. Surprisingly, book thefts are not considered to be crimes worth investigating. Because police take little interest in this issue, Ken Sanders, a rare book dealer from Salt Lake City, took on the job of security chair for the Antiquarian Booksellers’ Association of America (ABAA) and began working to catch Gilkey. Sanders is a major player in the action of the book and also in the capture and arrest of Gilkey. The most interesting part about Gilkey is his lack of remorse. He had justified his stealing because he felt as if the world owed him these books. He saw the world as unfair that he did not have enough money to purchase an expensive library himself. He kept all of the books as well, not doing it for the profit. 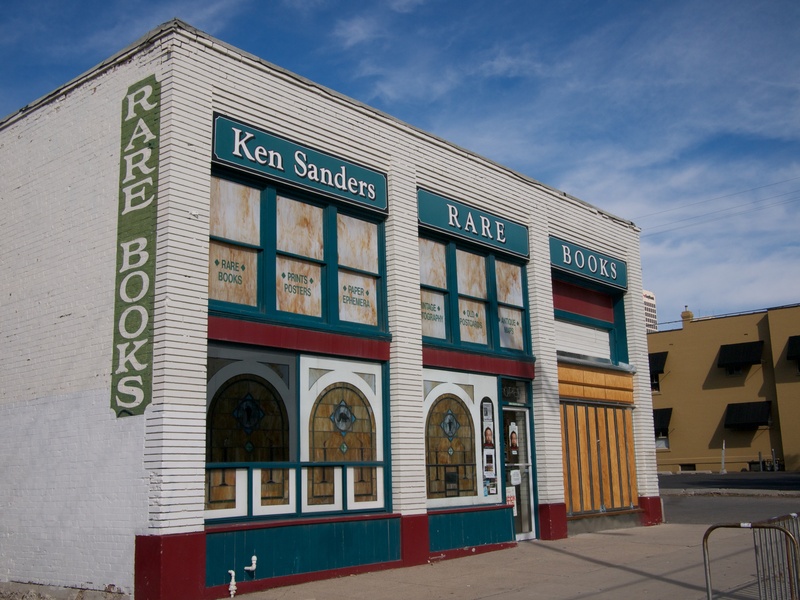 Occasionally, he would try to sell books for lawyer’s fees, but Sanders had informed his network of rare book dealers of which books were stolen, so dealers would refuse to buy and be wary of anybody trying to sell rare books to them. One of the most inspiring and interesting stories is from one of the dealers that Bartlett interviewed. He told her of an auction in London, where he discovered two rare copies of William Blake’s work in the drawer of one of the dressers. He explained that they were each worth $25,000 or more and was tempted to put them under his coat, for nobody knew that they were in the dresser. However, this man instead informed the auction house of their existence and they later sold for hundreds of thousands of dollars. I was so inspired by his honesty and integrity, especially against the backdrop of Gilkey’s many crimes and justifications for them. I enjoyed this book because I listened to it on tape, and it accompanied me on my hour-long drive to classes for my Ph.D. program. I appreciated being immersed in the world of rare books and learning more about their value and what to look for if I’m ever surrounded by old books. However, Bartlett and Sanders warn that nobody gets rich dealing rare books. As to the title, The Man Who Loved Books Too Much, I could not decide if it referred to Gilkey, who stole for books, or if it refers to Salt Lake City’s own Ken Sanders. He is as much a book lover as Gilkey but more so, for he worked so tirelessly to save the books from being stolen. Your’re welcome! Thanks for reading. I don’t know it it’s true, but I have read that the two types of books most often pilfered from libraries are books on religion and ethics! Fun blog, Emily! Oh my! That’s ironic, isn’t it? Love your posts, Emily! Glad I discovered your blog. Thank you! I think you just made my day! I think it interesting that love for the same object can inspire two completely opposite actions. I’m sure there’s a lesson in that somewhere. And Utah is gorgeous! Thanks for sharing. I didn’t know about the Gilkey case, but Ken Sanders was also a key player in catching Mark Hoffman, the Salamander Letters forger and bomber. Yes, that’s right! Sanders is one cool dude. The story sounds so interesting. Thank you for sharing! It really is. I am glad you liked it! Definitely going to check this book out, sounds really interesting! I have a very small collection of antique books that I adore. They are probably not worth any money because they are a little banged up, but they always sit on a prominent shelf in my library. Wow! I am totally jealous of your collection, especially The Scarlett Letter. That might be worth something. You should check it out, but I find that those sorts of treasures are worth more to me in my possession than any amount of money. Of course, that would depend on the amount! When I saw this post title I got so excited because I thought you’d read and reviewed The Book Thief by Markus Zusak. A very good read, by the way. But now I’m intrigued by your local story. I just love a book that is about places in my real life. It makes the story so much more personal to be able to say – hey, I go to that very coffee shop or bookstore or whatever. One of my favorite spots at my local independent book store is the “local authors” aisle. I like that you bring up intellectual property. I know in many countries they think we Americans are crazy for trying to copyright ideas! But Gilkey truly is crazed. His way if thinking is so backward and ridiculous. That partmof the book, the psychology, is fascinating. And yes, Zusak’s book is a great read! I’ve been following your blog for a while, and I didn’t even know you lived in Utah. I live in Utah, too, and I love Ken Sanders! Very cool! I guess I hid that fact well. Ken Sanders is certainly a fixture here. I read once about a man who worked as a security guard at a prestigious university library, who stole and sell on a load of rare books and pamphlets. Apparently the library was so underfunded and understaffed that many of its books had just been left sitting in piles with no active cataloguing system. The thief would just pick up half a pile here and there and nobody was any the wiser. It was only when he tried to sell on a First Edition of Copernicus’ De Revolutionibus that a dealer got suspicious and brought in an historian who’d studied every surviving copy that the thief was caught. In a way, I kind of feel less aggravated by Gilkey than by this man, because at least he wasn’t just out to make a profit. Not that I’m defending him, of course! What a story! Gilkey is a more sympathetic character, but still amazingly brash. Intriguing, I must read this book haha and maybe follow his motives and become a book thief myself, great post! I guess I could’ve called this post “How to Become a Book Thief.” Ha! I love your blogs, strikes a chord!! Keep up the good work. Oh, dear, now I have another book to buy and add to my ever-growing stack of “books to read next”! Thanks for the intro to a genuinely intriguing tale. You’re very welcome. If you end up reading it, let me know what you think. I love audible books. I do so much driving and it really helps pass the time. I get tired of my music collection and the radio is obnoxious with its repeated songs and endless commercials. So I started listening to audio books. I usually use it for books I am interested in, like this one, but would take me away from my priority reading list. Right now I am making a point to read every book on my shelf. Then I am giving them to the library with an attempt to broaden the English section. I live on the Caribbean island of Curaçao where there are a lot of Americans and Canadians and the librarian is trying to enlarge the English section. I may be moving to another country (God willing) and as much as I adore real books, I have switched everything I can to ebook so I don’t have to keep dragging them around with me. Everything I couldn’t get as ebook I am trying to read. I am making progress too! Anyway, this will be my next audio read as I love the topic. I love rare books. My favorite book in the whole world is Tolstoy’s Anna Karenina and I once saw a first English printing for $3000. Kind of out of my budget. Anyway, thanks for posting about a quirky topic. I really don’t know! I get self-conscious and always declare that I listened rather than read, but to non-readers I don’t think they see a difference. Have placed an order for this book after reading your post. The book should reach me by April 12th. I am an aspiring film maker doing research for his script. Very cool! I hope you enjoy the book.